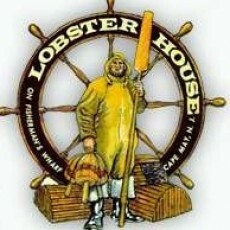 The Lobster House is a family-owned, dockside seafood restaurant overlooking Cape May Harbor in Cape May NJ. We've been renowned for our food and service for three generations. Our menu offerings include a wide variety of the freshest seafood prepared in a classic manner along with plenty to please the landlubber! The Lobster House's view and ambiance are unrivalled at the New Jersey shore. We have our own fleet of commercial fishing boats so you can often be served seafood that was off-loaded that very day!! During the warmer months, outdoor cocktails and dining are available at the Raw Bar & on board the Schooner American. Dockside tables are in place all year-round so if the day beckons, you can come down & enjoy a meal outdoors! Please visit our website for more detailed information.